New figures from the Central Bank Show Irish household debt stood at €31,216 per Capita in the first three months of the year, the lowest level since the first quarter of 2006. 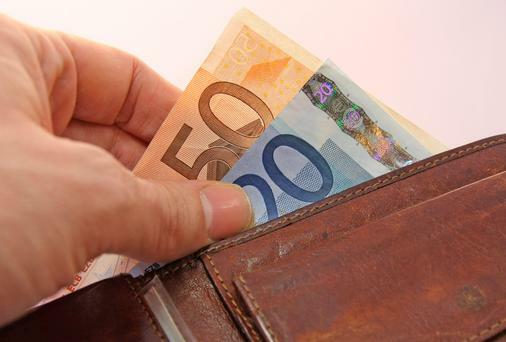 Irish households fell from being the third most indebted in the European Union to the fourth during the first quarter of this year, according to new figures from the Central Bank. 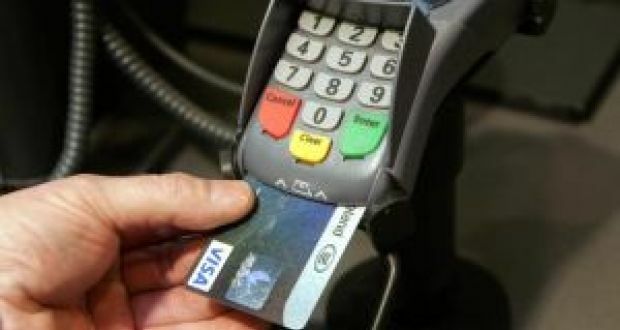 The figures show Irish household debt fell by €1.1 billion to €148.5 billion in the first three months of the year. This represented a household debt per capita of €31,216, which is the lowest level since the first quarter of 2006. Household net lending fell to a level of €2.4 billion during the first quarter. The net worth of households increased by 0.3% to €628.7 billion, mainly driven by a rise in house values, and a decline in household liabilities. Household net worth has regained two-thirds of the drop that followed the Celtic Tiger’s high-water mark of €718 billion in the second quarter of 2007. The Central Bank said household debt as a proportion of disposable income now stands at 149.4%, its lowest level since the end of 2004. Investec said the stock of household liabilities now stands at €148.5 billion, 27% below the all-time high of €203.7 billion reached in the third quarter of 2008. It noted household net worth has increased for 12 successive quarters. “Notwithstanding external pressures, we expect the Irish economy to continue to turn in some of the strongest growth in the EU both this year and the next, facilitating further improvements in the aggregate balance sheet of Irish households,” said Investec chief economist Philip O’Sullivan. Just over two-thirds of students work throughout the academic year to fund third-level education, working on average 17 hours weekly for €12 an hour. The vast majority of students attending third level institutions will be financially supported by their parents over the next year with the average parent spending €447 each month, a survey has found. According to a piece of research published by the Irish League of Credit Unions this morning 87 per cent of parents will financially support their children through the academic year with 60 per cent getting into debt to do so. The research asked both parents and students about how they meet the costs of third level education and the financial challenges facing families. The results highlight the impact of sending children to college (in financial terms) has on spending and budgets as well as the challenges and concerns parents have in relation to finance, debt, accommodation, course choice and job prospects. All told just under three quarters of parents polled said they would struggle to cover the cost of their child’s third level education. The average amount of debt parents will accrue is put at €4,300 down from €4,670 in 2015. The piece of research also found that parents save for an average of eight years to cover third level costs for their children and manage to accumulate on average €8,150 over that period. The survey also asked parents what they worried about as their children headed off to college. Employment prospects after graduation was the biggest concern for parents with 32 per cent saying it was the thing which worried them the most. Passing exams was in second place with 17 per cent highlight that while concerns over the misuse of drink and drugs has jumped sharply to 17 per cent up from 10 per cent last year. It is not only parents who have worries ahead of the new term. The poll suggests that just over two thirds of students who need to live away from their family home are “extremely worried” about finding suitable accommodation for the academic year. Concerns about the availability and affordability of accommodation could be behind a slight increase in the number of students who say they will live at home over the course of the next academic year. The survey says that 65 per cent of students will be living at home compared to 62 per cent in 2015. Just over two thirds of students work throughout the academic year to fund third level education working an average of 17 hours per week getting paid an average of €12 per hour. The survey by iReach was carried out in July using 1,000 responses from over-18s across Ireland. Exceptionally strong growth in Glanbia’s performance nutrition business helped the Irish company to earnings of €176.5m in the opening half of the year. Glanbia’s H1 earnings increased by close to 11% compared with the same period last year in what company chief executive Siobhán Talbot described as a “strong set of results”. That firm’s earnings growth was driven primarily by its performance nutrition (GPN) business which accounted for almost half the company’s earnings. The performance nutrition business segment’s earnings before interest tax and amortisation (EBITA) totalled €81.7m a 35% increase on H1 2015 on a constant currency basis. Ms Talbot said she was pleased with the progress of GPN which develops products aimed at the sport and fitness markets, including protein shakes. Growth would moderate to more modest and sustainable levels over time, she accepted. “Sales of performance nutrition brands and value-added nutritional ingredients showed good growth in the first half of 2016 delivering on our vision to be a leading nutrition business. “Our overarching strategy is to continue to get growth across the group. Various dynamics in various periods of the year and indeed full years can accelerate that and we’re very pleased with the 35% that we had in the first half [of 2016]. “We very much look to that long-term sustainable growth rate and we’re obviously not saying that that level of growth will be sustainable but if you take our overall guidance for the year that we’ve reiterated of 8%-10%, growing performance nutrition is an important factor within that,” Ms Talbot said. GPN’s growth will be increasingly driven by new product innovations rather than breaking into new markets. Ms Talbot said she expected continued “pull” on pricing in its Irish dairy division after a 4.9% decline in prices in the first half of the year. Glanbia described Dairy Ireland’s performance as “satisfactory” despite a 3.3% decline in revenue to €356.9m which reflected the continued price drop as well as a 1.1% increase in volumes. Ms Talbot said conditions for “anybody in the dairy space are a bit challenging” but noted that Dairy Ireland delivered a modest profit increase in the first six months of the year. The company is dealing with currency headwinds arising from both the relative strength of the dollar and the uncertainty created by the UK’s decision to leave the European Union. Ms Talbot said the UK is not a particularly big market for Glanbia but like all other corporates, the Irish firm doesn’t like uncertainty and currency volatility caused by the Brexit vote would need to be monitored. Similarly, Glanbia is “always watching” the dollar-euro exchange rate and is used to managing the associated risk. The relative strength of the dollar against other currencies can have a marked effect on demand in other markets, such as Brazil, however. Ms Talbot said the dollar’s strength was actually more of an issue last year than it has been in the opening half of 2016 though. The company remains on the lookout for potential acquisitions and has a good pipeline of deals. Ms Talbot said, however, that it is difficult to be prescriptive about how many deals would be completed or when. Early morning commuters on packed trains can finally feel justified in their aversion to their fellow passengers, after a new study found viruses are more dangerous in the morning. A science paper (rivetingly) entitled “Cell autonomous regulation of herpes and influenza virus infection by the circadian clock” found viruses were 10 times more successful at breaking down their host if the infection began in the morning. The study, by the University of Cambridge, involved infecting mice with either the influenza (the cause of flu) or the herpes virus. Tests showed mice infected in the morning had a viral level 10 times higher than those infected in the evening. Viruses hijack living cells in order to replicate and proliferate around the body. It is thought the body clock, or circadian clock as per the paper title, is what makes cells more susceptible to viruses at different times. Bmal1 is the body clock gene scientists in this study identified as the key to this susceptibility and it peaks in the afternoon, increasing resistance to infection. Bmal1 activity is low in the morning however, so we have increased vulnerability. So should we all be locking ourselves in quarantine in the mornings for fear of microscopic germ warfare? Well no, but the findings could be helpful in preventing the spread of disease during a viral pandemic. “In a pandemic, staying in during the daytime could be quite important and save people’s lives – it could have a big impact if trials bear it out,” said Professor Reddy. 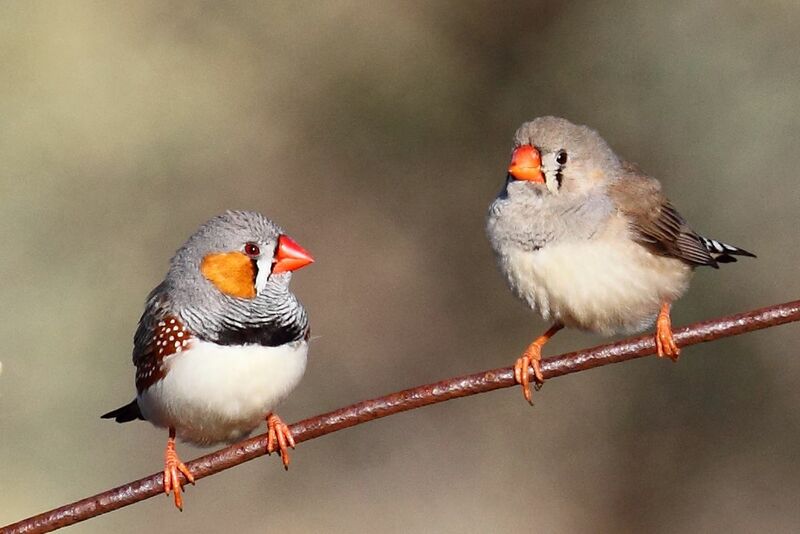 Zebra finches program their offspring to prepare for global warming by singing to eggs before they hatch. In especially hot areas, finch parents make a special call to incubating eggs, basically telling them it’s really hot outside and they better not grow too big. The hatchlings listen and this mechanism might explain how birds learn to adapt, and survive climate change. 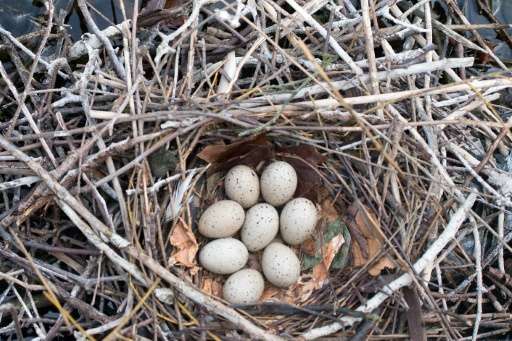 Many bird species sing to their eggs. These calls have been shown to do everything from improving learning to synchronizing hatching times. When it comes to the Australian zebra finch, we already know that they make a specific call when it’s unusually hot outside, which in this case means over 79 degrees Fahrenheit no matter what season it is. Finch parents start making these calls about five days before the eggs are supposed to hatch and the calls become more frequent the closer it gets to hatch time. This suggests the calls are a way to tell the soon-to-be-born finches about the world outside, and not just the parents complaining about the heat. But how do we know if it’s just a coincidence? Mylene Mariette and Katherine Buchanan at Australia’s Deakin University figured out a way to test this. For a study published today in Science, they put a bunch of zebra finch eggs in an incubator that created a temperature around 100 degrees Fahrenheit. Mariette and Buchanan then played the “global warming” call for some of the eggs and not others. Next, the scientists waited to see if there were significant differences between the two groups. If there were, it was probably because of the difference in the calls they heard. 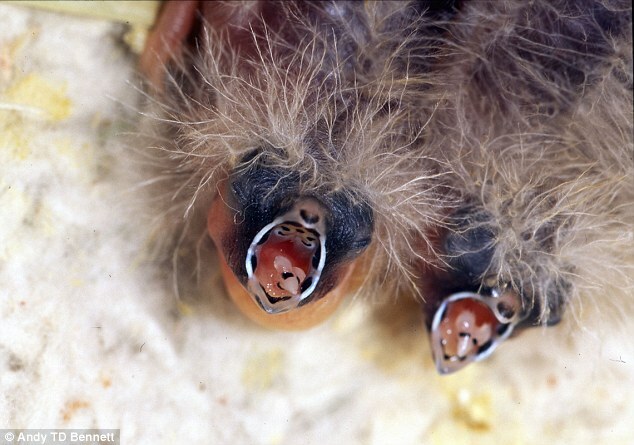 After the eggs hatched, the baby finches were raised in an environment where the temperature varied naturally. By day 13 after hatching, nestlings that heard the “heat” calls were smaller than the ones who didn’t. This seems to confirm that the embryos in the eggs really do listen to the calls and then change how they grow. All this makes sense because other research tells us that animals end up smaller when it gets hotter because the smaller size makes it easier to cope with high temperatures. Mariette and Buchanan also found that birds who were smaller in hot conditions produced more fledglings during their first breeding season, showing that this is a good evolutionary strategy after all.